Off-grid solar devices such as solar lanterns and small solar home systems are transforming communities around the world that lack access to an electrical grid. Unfortunately, these products typically have short life spans—just three to five years—and are already creating a serious hazardous waste problem. SVTC is drawing on our extensive experience in electronics and solar sustainability to address this critical issue. The Sustainable Off-Grid Solar Recycling Incubator (or Incubator) will promote the market expansion of off-grid solar products, while at the same time developing realistic solutions to the recycling and reuse of these devices. The not-for-profit Incubator will partner with African communities, university researchers and students, and off-grid solar lighting companies to promote product innovation and sustainability. This pilot project will also develop innovative waste management systems that circumvent the need to build expensive conventional waste collection infrastructure and can be replicated in communities around the world. Solar Product Distribution and Testing—Malawi: The Incubator will be piloted in Central Malawi, a remote region of Africa where solar sales have not yet penetrated. In partnership with two villages in the Kasungu District, the Incubator will distribute selected solar products using microloans. We will work with users to gather data on product use, durability, and reliability as well as the potential for product reuse, repair, and recyclability at end-of-life. Nearly 1.3 billion people worldwide lack access to electricity, relying instead on expensive and polluting fuels such as kerosene, wood, and coal. Off-grid solar devices offer a more sustainable solution, but because off-grid areas typically lack solid waste disposal infrastructures, devices that no longer function are typically burned or discarded into the environment. There is no political will or economic capacity to build conventional solid waste infrastructures in most of these regions, so it is therefore essential that this problem be addressed both at the “front end” (through safer, more sustainable, and more recyclable designs and materials) and also by developing alternative waste management strategies. Through SVTC’s more than 30 years of environmental health leadership in the high-tech industry, we’ve learned the importance of taking action early. We need to encourage innovative and sustainable practices as new tech sectors grow and as manufacturing, design, and end-of-life infrastructures are scaled up. 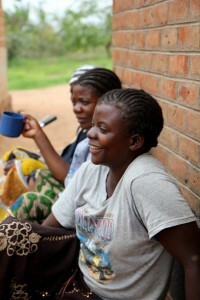 Your donation will help women in Malawi finance solar business, and enable SVTC and our collaborative partners to research and test recycling systems. Volunteer—Lend your expertise in recycling, microbusiness development, engineering, or design. If you are a student, get involved by volunteering to test solar product recyclability. Spread the word— Follow us on Twitter, Facebook and tell your friends.